This aims to develop the next generation of farmers by providing greater access to quality agricultural education within various Don Bosco TVET Centers, particularly in Legazpi City (Albay), Naga City (Camarines Sur), Mati City (Davao del Norte) and San Jose City (Nueva Ecija). 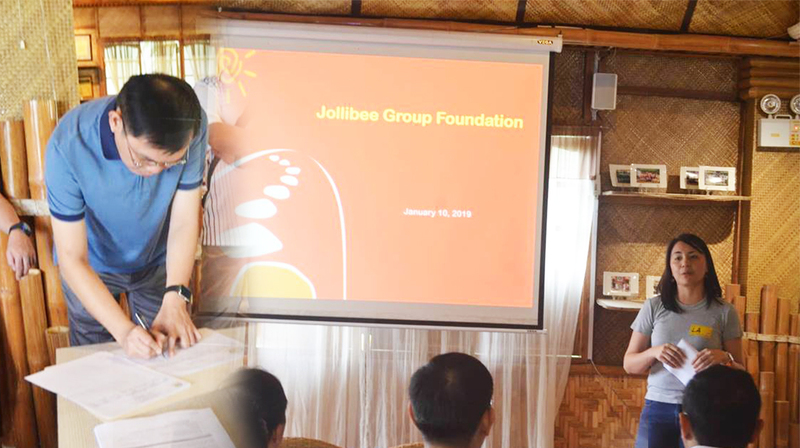 As part of this continuing initiative, Jollibee Group Foundation (JGF) and Don Bosco – One TVET Philippines aims to develop a curriculum by incorporating components of JGF’s Farmer Entrepreneurship Program’s (FEP) agro-enterprise approach. Integrating JGF’s FEP experience in capacitating farmers and linking them to institutional markets, developing an NC II course in Agro-Entrepreneurship, and exposing scholars to real-life agroentrepreneurship examples such as in FEP sites. The visit of Don Bosco – One TVET Philippines to LAMAC Multi-Purpose Cooperatives a FEP areas aims to describe the context, approach, methodology and results of Agro-Entrepreneurship based on the FEP experience of LAMAC MPC and JGF. Three (3) sites shall be visited: Pinamungahan, Sudlon II and Parian.